If possible it’s great to see a pelvic health physiotherapist early and start a guided exercise programme. This would usually begin with gentle, low impact exercises and progress to include medium and higher impact exercise as your body heals and becomes stronger. Once you feel you are ready it’s a good idea to start off running slowly with short work periods and long rest breaks in between. This allows the pelvic floor adjust to the new demands placed on it. 2. Pelvic Floor & Abdominal Gripping Reduces Stability & Can Cause Pain. In my clinic I often find that women ages are in the habit of holding excessive tension in their pelvic floor and or abdominal muscles. This can cause lack of stability while running It can contribute to early fatigue of the pelvic floor and leaking or symptoms of prolapse. These symptoms often present during or at the end of a run. Pelvic floor and abdominal over-activity can also contribute to or cause low back or pelvic girdle pain and other problems. Studies have shown that resistance training for runners helps reduce injury and improve performance. It’s also important to vary your workouts to avoid over stressing the pelvic floor. 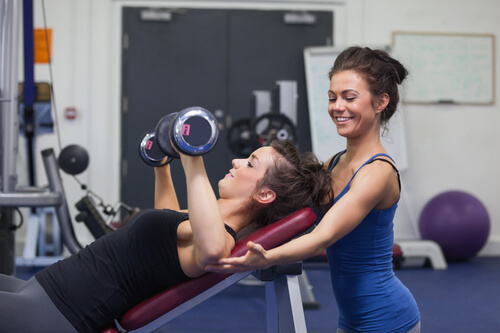 When adding resistance training to your exercise plan, be sure to work with a trainer who is knowledgable about training women post partum or a pelvic health physiotherapist. 4. Faster Cadence (more steps per minute and shorter stride) Means Lower Impact & Fewer Injuries In Runners. It may be worth looking at your running style and adjusting it if necessary to reduce impact. A running coach, physiotherapist or personal trainer can help you with this. There are also free apps you can download to your phone to set a rhythm to help you. Evidence shows that even high intensity workouts don’t affect the quantity or quality of your breast milk. There can be more lactic acid present in your milk but this doesn’t seem to have any effects on babies or put them off their lunch! Running is probably not the best exercise you could do if you have prolapse. However, if your prolapse is long-term and you have have a pelvic floor programme that you’re working on, it doesn’t always mean giving up on your hobby. 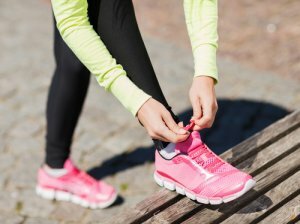 Provided you give your body enough time postpartum to heal here are some tips for running to minimise the impact on your prolapse symptoms. Make sure that you see your pelvic health physiotherapist for advice and a pelvic floor programme tailored specifically to your individual needs. Consider using a vaginal pessary. Can help to support your pelvic organs and reduce impact on your pelvic floor. Reduce your speed and distance to avoid fatiguing the pelvic floor muscles. 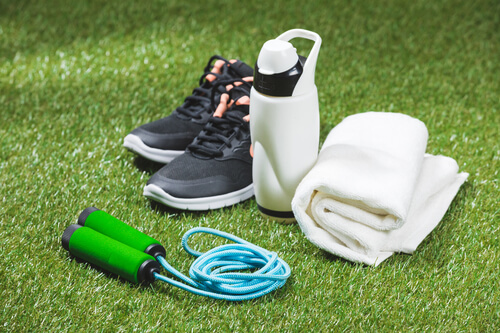 Try running an more forgiving surfaces such as grass, running tracks or grit rather than Road Running which is more hi impact and therefore more demanding for the pelvic floor. Give yourself adequate recovery time and avoid running when you when you feel very tired as your muscles fatigue faster. Consider adding resistance training to your exercise plan. It will place different demands on your pelvic floor and is very effective for weight loss and fitness as well as injury prevention. The Golden Rule? Listen to your body. Be mindful of what it’s telling you. If you’re having pain, leaking or pelvic ‘pressure’ during your runs or workouts it may be saying ‘this is too much for me right now’. Then it’s time to pull back and reassess. Do I need less running and more resistance training? Maybe I need shorter, more frequent workouts? Do I need to change my running surface? Or do I need more recovery time between my runs or workouts? If you’re unsure or your symptoms are worsening your pelvic health physio will be able to guide you.